Lately I’ve been on a mission to get my kids eating more seafood. I mean…I thought we did, but when I totaled it up, it was more like once a month as opposed to 1-2 times a week or more like I want it to be. My all-or-nothing personality (anyone feel me?) tends to get on kicks for a few weeks in an obsessive way, and then I move on to something else. UGH! 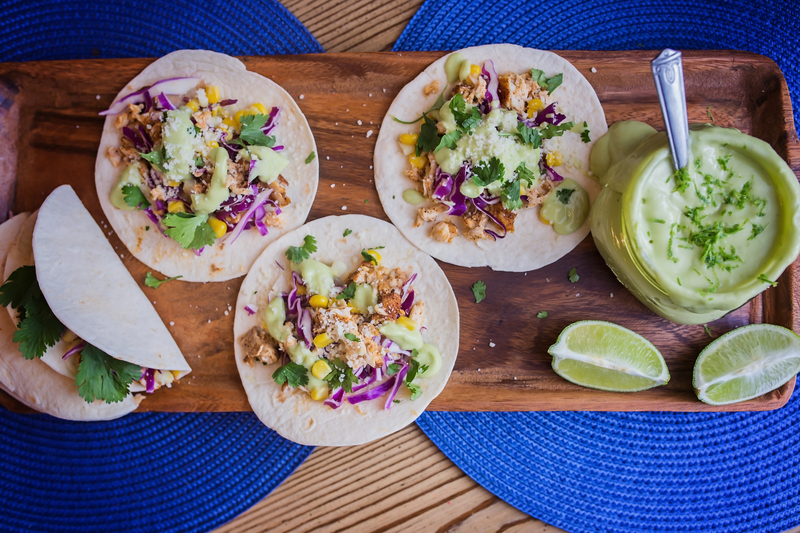 So, I created a series of recipes to get my kids immersed in the deliciousness of seafood. 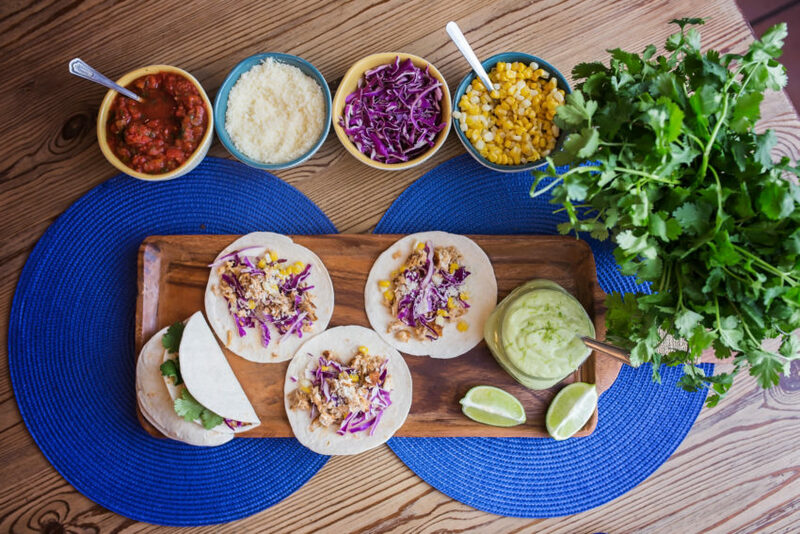 Starting with Tacos (because why start with anything else? This is an easy and delicious recipe…because when it comes to cooking dinner for a family, sometimes it’s best to keep things simple. 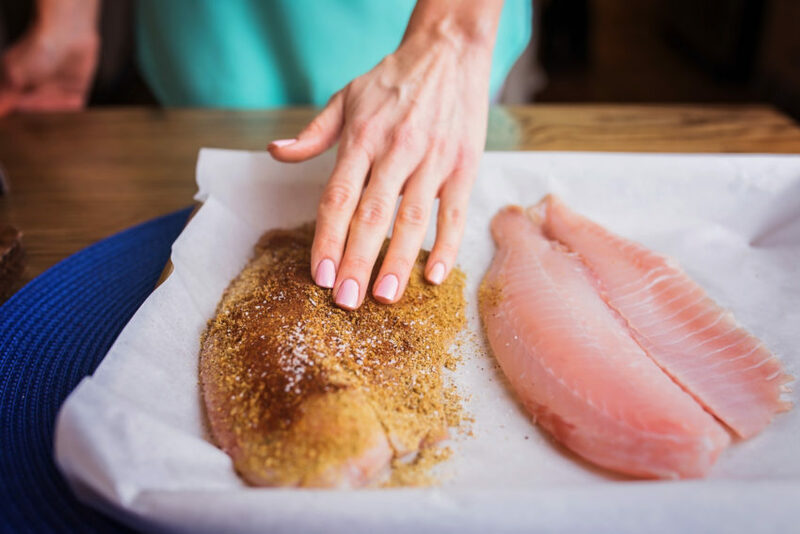 Start with a flaky fish like tilapia, because it’s what I call a “canvas ingredient”, because it has the ability to take on the flavor of whatever you put with it. So I did an easy seasoning – actually our favorite homemade “taco seasoning” mix – of chili powder, cumin, garlic powder and salt. 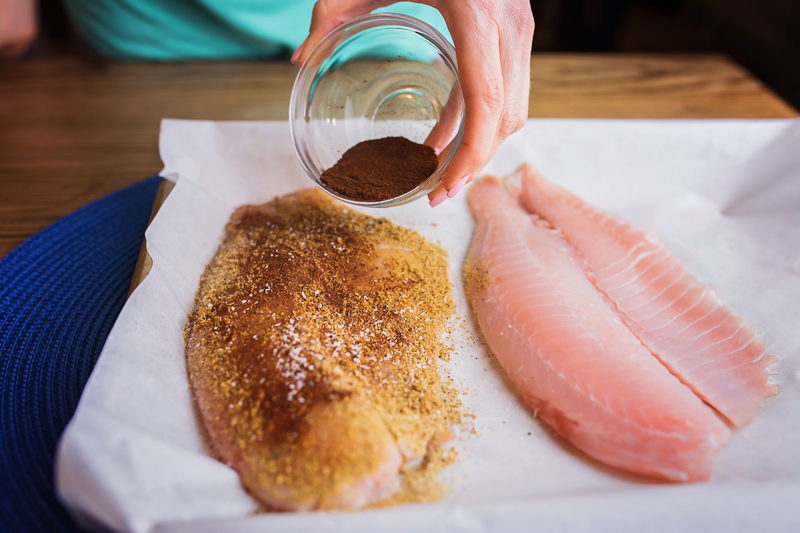 Sprinkle on the whole tilapia filet… And rub seasonings all over the tilapia, pressing them in a bit. This creates a coating for the fish, and locks in moisture… And start on the second filet! You might have several small filets, depending on where you purchase your tilapia. At this point I like to either drizzle a little olive oil over them, or give them a mist of cooking spray on top. Those will be baked for only 10 minutes (depending on thickness) – that’s it! Then take the street taco wraps, and cozy them into a layer of parchment paper, covered by a layer of foil. 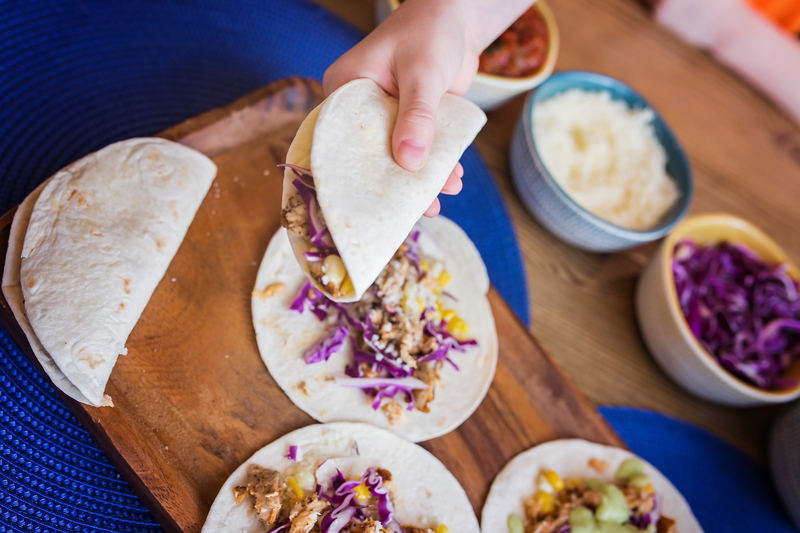 We will toss those into the oven during the last five minutes of baking time….it steams the wraps, making them soft, chewy and pliable….or in other words, delicious for fish tacos! 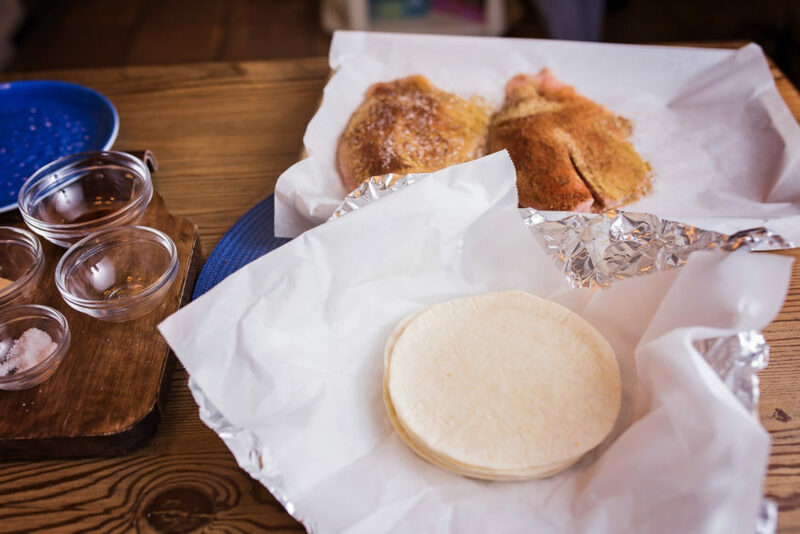 When the fish comes out of the oven, take two forks and gently shred it… That high heat and seasoning mixture should have created a delicious crust with a taco flavor… And now you are ready to build street tacos! I typically make a “taco toppings bar” (aka…I just throw ingredients into cute little bowls), and usually this consists of shredded cabbage, salsa, corn, and cheese… Oh! And the Avocado Drizzle…it’s soooooo good. 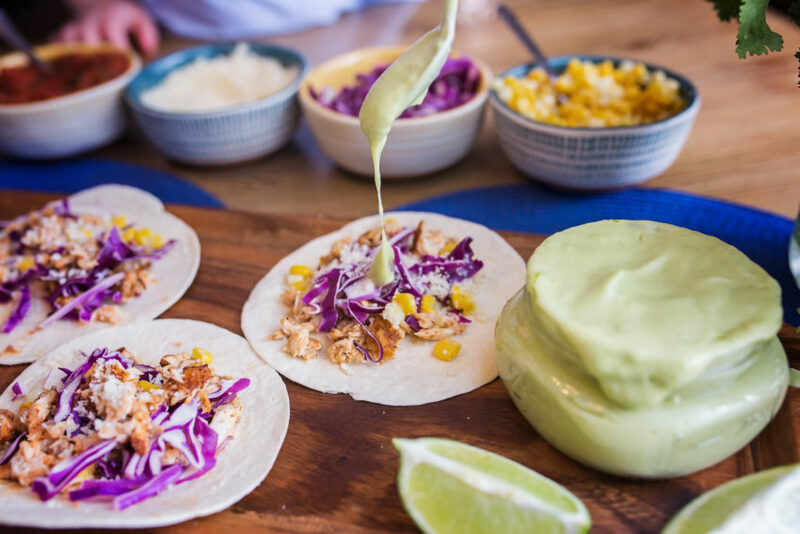 Just creamy ripe avocado, lime zest and juice, salt, and some water to thin it out… And I usually let the kids build their own tacos… And there you have it! 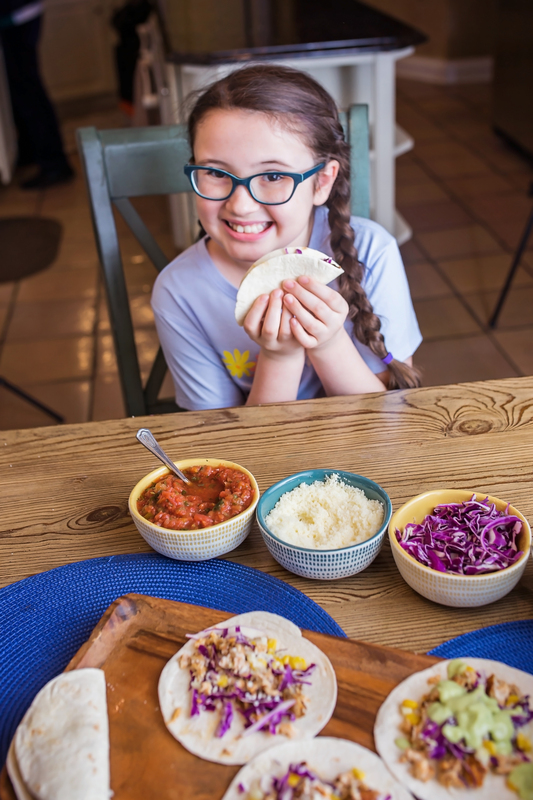 Easy little street fish tacos…perfect for little hands. 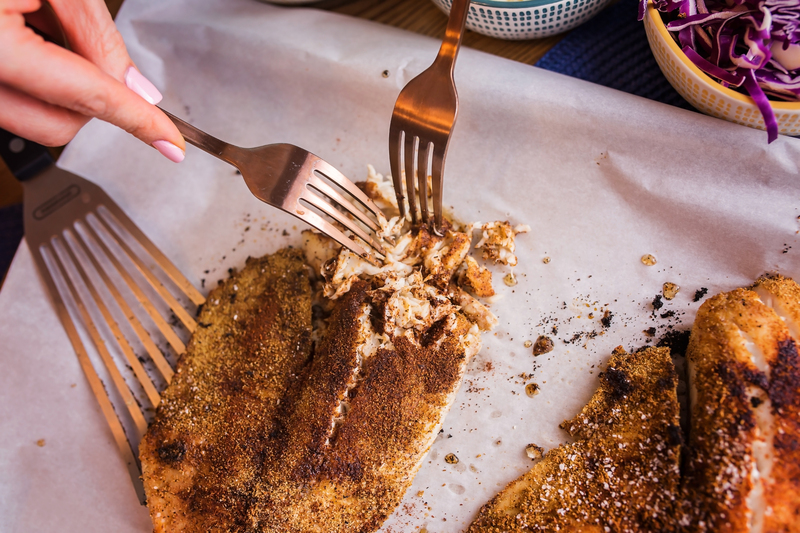 Using familiar flavors with fish can make all the difference! 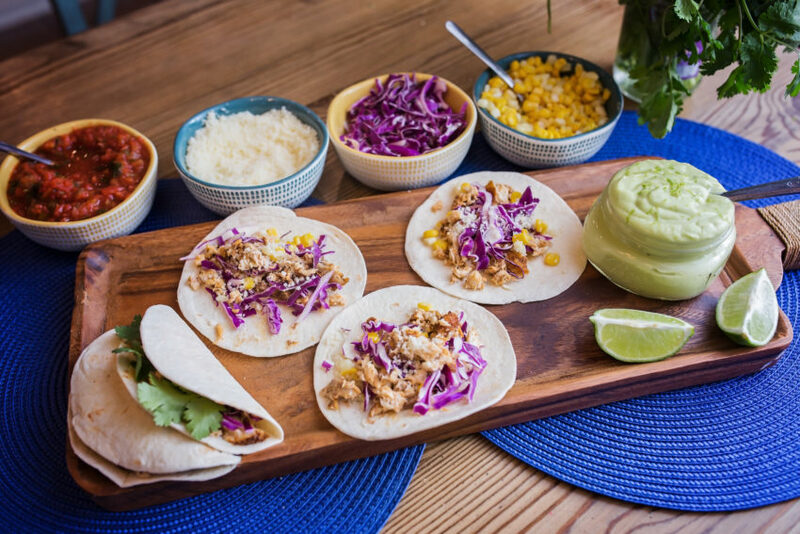 Happy Taco Tuesday Night from our kitchen to yours… If you make this recipe…would you do me a favor? 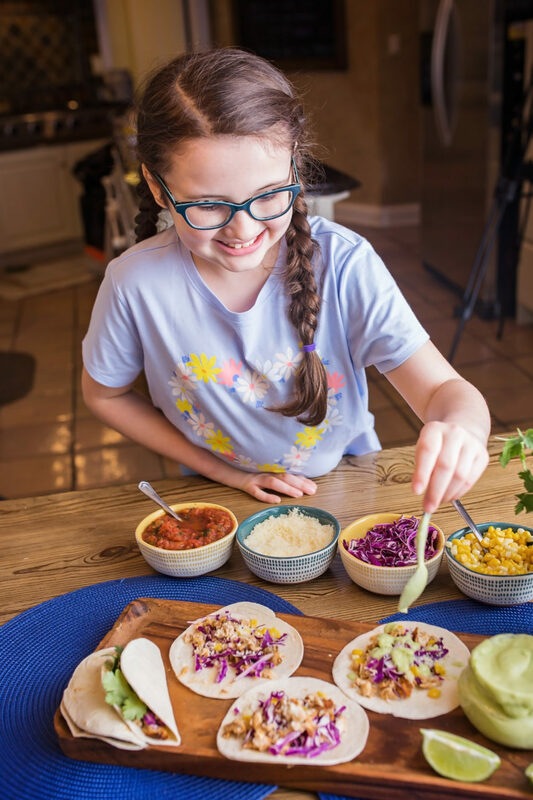 Post a picture and tag me in it, and use the hashtag #LittleSeafoodies…I would love to get your inspiration for nourishing our kids with the power of seafood on Instagram, Facebook, and Pinterest. Enjoy! 1. Heat oven to 400º. 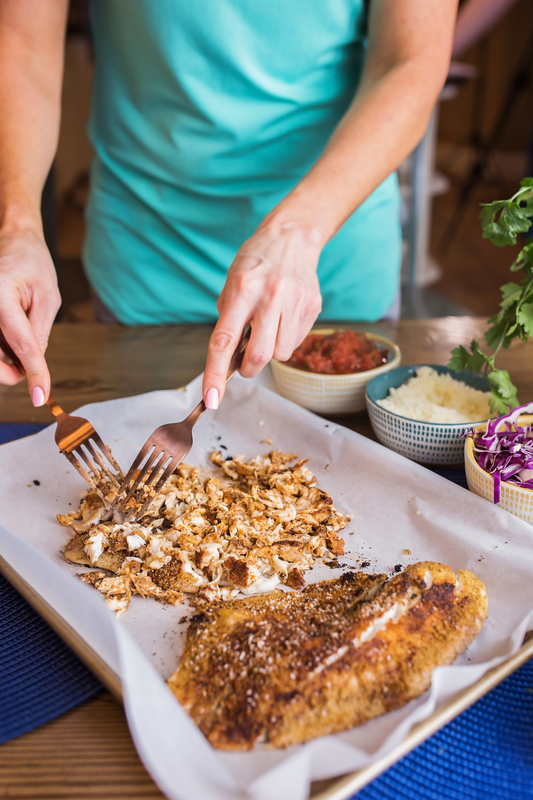 On a baking sheet lined with parchment paper, place tilapia filets. 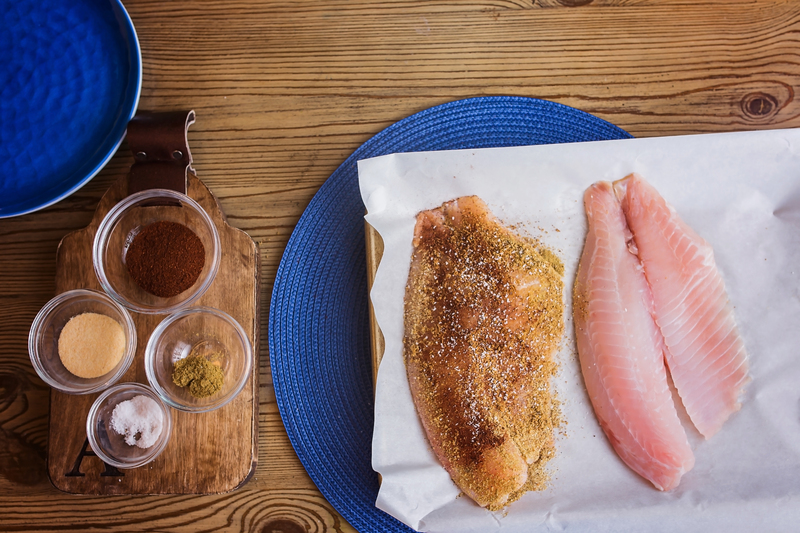 Sprinkle seasonings and salt on top of the filets, rubbing seasonings in to cover the top of the tilapia. 4. To make Avocado Drizzle: add ingredients into a small food processor or chopper. Blend until smooth. If needed, thin out with a little more water or olive oil.